Do you have a range in your kitchen? If you do, keep the phone number of our Appliance Repair in Piscataway, NJ, handy. We fix home ranges whether the appliance is not working at all or the client needs a new range installation. Our technicians fix gas and electric ranges, and both stoves and ovens. We replace parts, troubleshoot issues, take care of problems, and offer timely services. Call us even if you have a minor problem. When parts of your range don’t function properly, they might waste energy. Why pay for energy never consumed? Rely on our affordable range repair Piscataway services and get rid of problems once and for all. Our professionals can help you keep your range in tip top condition. We provide gas range installation and keep supporting you over the years with preventive services. The minute you notice the oven’s door gasket getting worn, do ask our assistance. We replace the gasket and any other damaged oven or stove part. Our specialists can check your home appliance to ensure it functions properly, and also make minor and casual repairs. Are you looking for an expert in glass range repair? You can be sure that our technicians are trained and well-equipped to fix all cooktops. Is there a problem with your oven? Ask us to cover your oven range repair requests now. We help as fast as possible and have the tools to change ruined heating elements, igniters, seals, switches and valves. Whether your stove burners fail to heat up sufficiently or the oven doesn’t heat up evenly, we check and troubleshoot the problem and find what’s wrong. Customers in Piscataway, New Jersey, can depend on our gas and electric range repair services. Our technicians are equipped to fix both types of ranges. The specifications of each appliance are respected and the problem is taken care of in timely fashion. 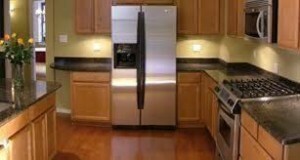 Your kitchen is left neat and our experts arrive on time for each service.